Do you Ride the Elephant or the Elephant Rides you? When I read the headline and saw the picture, as they say, thousand words came to my mind. 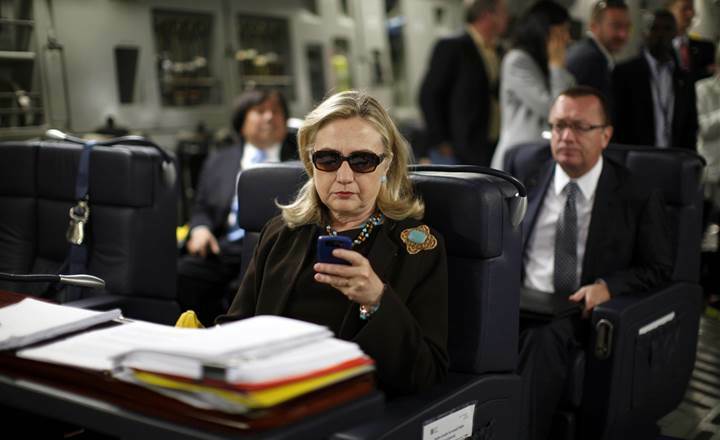 Hillary is hiding some secret, may be it is some sort of conspiracy, she looks like an operating agent of a secret society, may be people around her are her secret agents. Look at the place, it looks shady. The red file on the desk is definitely a classified file that hides some secret information and soon the media will expose it. I was not only unconsciously forming impressions about Hilary Clinton and future consequences but also about other people, place and things in the picture. This happens to all of us, with minimum information, we as human beings are wired to form impressions, make conclusions and unfortunately sometimes act upon it. Here is another example. When we send a mail or a SMS and do not hear back within the expected time, our mind starts to spin all sorts of stories. May be that person doesn’t like me anymore, maybe I may have done something wrong, may be that person is in some sort of danger and on and on. This doesn’t stop until we hear back or until we make some stupid / desperate attempt and catch hold of that person. Later upon reflection, we realize how stupid and illogical we were and question why in the right state of mind we did what we did. System 1 runs automatically and System 2 is normally in a comfortable low-effort mode, in which only a fraction of its capacity is engaged. System 1 continuously generates suggestions for System 2: impressions, intuitions, intentions, and feelings. If endorsed by System 2, impressions and intuitions turn into beliefs, and impulses turn into voluntary actions. When all goes smoothly, which is most of the time, System 2 adopts the suggestions of System 1 with little or no modification. You generally believe your impressions and act on your desires, and that is fine—usually. As you saw in the Hillary Clinton example above, my System 1 thinking automatically got into the work of forming impressions and building stories. Thanks to my System 2 thinking that did not readily turn the impressions into beliefs. “… our emotional side is the Elephant and our rational side is the rider. 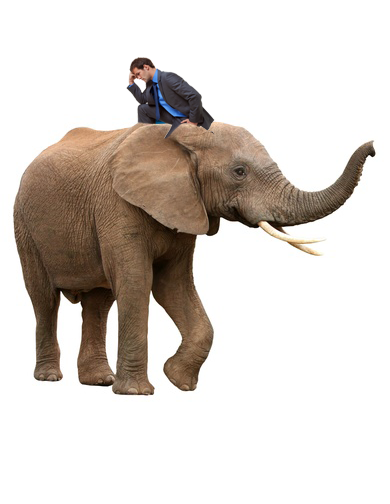 Perched atop the Elephant, the Rider holds the reins and seems to be the leader. But the Rider’s control is precarious because the Rider is so small relative to the Elephant. Anytime the six-ton Elephant and the Rider disagree about which direction to go, the Rider is going to lose. He’s completely overmatched. But there is hope. Daniel Kahneman writes “System 2 has ‘some’ ability to change the way System 1 works, by programming the normally automatic functions of attention and memory”. In the email / SMS example above, programming ourselves that a late response or no response is not a cause for anxiety / panic and being able to look through the past memory for such validation can be very helpful. Overriding System 1 is hard and difficult and it takes lot of efforts to empower System 2. Thinking about driving for example. When we are learning, it is painful, our System 2 is at work. Only through regular practice and learning from mistakes driving becomes a System 1 activity. – Hiring decisions are based on System 1 thinking. Once one gets into the interview room, looking good, talking good and making the interviewer like you is all it takes to get a job. – Most of the consulting engagements are driven by System 1 thinking. Think about it, good-looking slides, high-sounding management jargons, past success stories, promise to deliver ‘state of art solution’, these are the things that win consulting engagements. And the list goes on. In closure, all the scientific discoveries, inventions and progress we have made as a human race were not easy. The heroes and role models we look up to were the ones that were able to tame the Elephant and only through tireless hard work were able to build their System 2 thinking to deliver value to human life. Controlling the Elephant is very hard but possible.